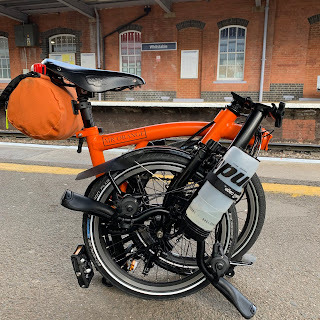 As you may have seen in a previous blog the lovely people at Decathlon sent me a few items to review and this is the second in a series of products I will be reviewing. Decathlon cater for lots of different sports and when I opened a box of goodies from them, in addition to the cycling gear I was rather pleased to see a pair of running shoes - in a very favourable colour! 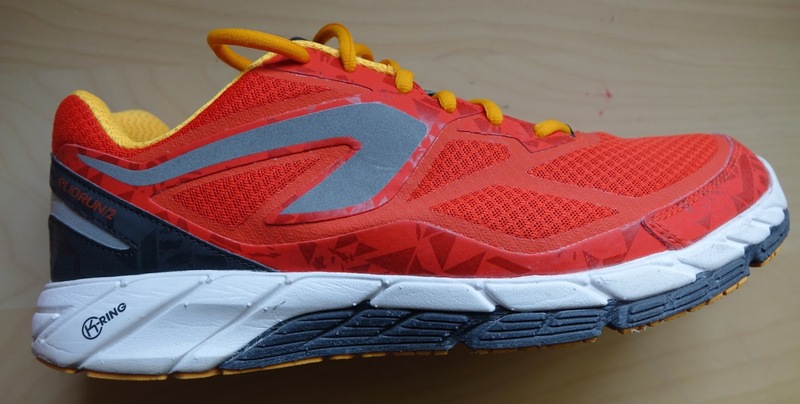 To give them their full title the 'Kaenji Eliorun Men's Wellness Running Shoes' in orange are vivid to say the least. There is a lot of orange mixed in with yellow, white, grey and black and several parts that offer a reflective surface when jogging at dawn/dusk. The reflective elements are on the heels, sides and tongue and I have to say very effective. These shoes are very light and when wearing them you really don't notice any weight at all. There is cushioning in the heel called 'K-ring heel technology' and it really does offer a fair degree of shock absorption. I really like these shoes - or course for the colour - but they are very comfortable and I have to report at least as good if not better than some of my jogging trainers costing a great deal more. There are other colours available - blue and grey I think - but for me these are perfect. Again I suspect you are thinking about the price? Well they cost £39.99 and in addition to what feel is again another great price point from Decathlon, these shoes actually come with a 2 year guarantee! As yet I am not sure whether Decathlon want these back after I have reviewed them? I can only say that with the summer hopefully with us, they are not getting these back! B'Twin Orange Mountain Bike Shorts - Very Orange!